Geraldine Coates looks at the story behind Pernod Ricard’s decision not to renew the Geographical Indication status of Plymouth Gin. Last month social media was humming with the news that brand owners Pernod Ricard would not apply to renew the EU regulated “Geographical Indication’ status for Plymouth Gin. The suspicion doing the rounds was that dropping GI status could open the door to production of Plymouth being wholly or in part moved from Plymouth and contracted out elsewhere with a corresponding drop in quality. First things first: basically a Geographical Indication (GI for short) exists to protect distinctive products with a strong geographical heritage from imitation. Think Stilton cheese, Cumberland sausage, Jersey Royal potatoes and Scotch whisky as examples of the current 85 UK products with GI status. In Europe the most common ones are those such as Parma ham and Parmesan cheese. In the case of Plymouth Gin, its GI grew out of a historic series of court cases in the 1880s brought by owners Coates & Co. under the ‘passing off’ legislation to prevent London distillers making ‘Plymouth Gin’. The upshot of the judgments were that any gin calling itself Plymouth Gin must legally be made within the city walls of Plymouth. Those legal decisions still stand and they are the reason why every bottle of Plymouth Gin to this day carries the label Plymouth Dry Gin not London Dry Gin and no London distiller makes ‘Plymouth Gin’. Having been protected by English law, Plymouth Gin was listed as originating from a ‘geographical designation’ in the late 1980’s by a European Council regulation. Over time the status has changed from a designation to a ‘geographical indication’ complete with a set of onerous and costly set of conditions. 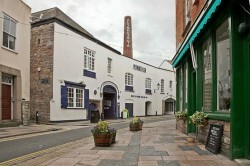 Then it was perceived as a way of protecting the unique heritage of Plymouth Gin, which has been made in the same place, Blackfriars Distillery on the Barbican, for over two centuries. But, unlike other UK protected products where several producers make the same product in the same location, in Plymouth there only ever has been one single producer – Coates & Co. (now owned by Pernod Ricard). It is now clear that this is unlikely to change, as it would be extremely difficult if not impossible for another distiller to set up stall in the city of Plymouth and start producing gin. 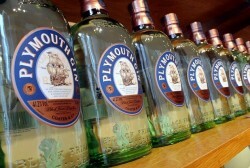 Essentially the name Plymouth Gin is a brand name and a trademark owned by Pernod Ricard who would vigorously challenge any other distillers’ attempts to make another Plymouth Gin in the city. So trademark would trump Protected GI status should it ever arise and there is no longer any real need to retain it. Instead the more sensible decision has been taken and that is to focus on protecting the brand’s intellectual property and enforcing the trademark. And as for moving production elsewhere Pernod Ricard has officially confirmed that Plymouth Gin will only ever be made in Plymouth at Blackfriars Distillery to the same recipe and by the same process. Whew, we can all rest easy knowing that one of the world’s most iconic gin brands will continue to maintain its heritage and will remain a bastion of quality most likely for the next two hundred years. 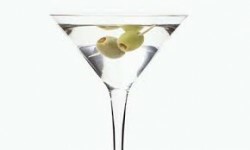 And of course, as Winston Churchill believed, the ideal gin for a Dry Martini!